Wedding flowers should inspire feelings of love, romance, and hope for the future. They should represent the uniqueness of you and your love. When it comes to weddings, we have been very intentional about what we do. One-of-a-kind. Just like you aren't a carbon copy of other couples, we don't copy other bouquet designs. Your wedding flowers will be specially selected for you, your color palette, and your unique style. Only the freshest and most beautiful blooms growing the week of your event will be selected for the final arrangements. Custom packaged. I am pleased to offer an array of à la carte floral options. Whoever you are and whatever your budget, we will create a custom package to meet your needs. As stress free a possible. 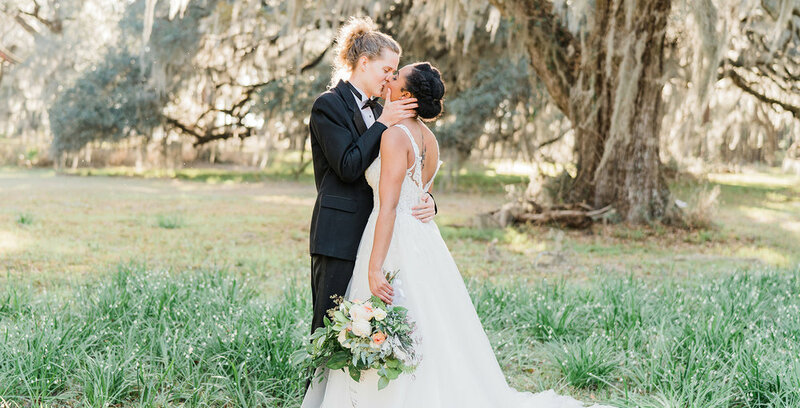 So much goes into planning a wedding, that what should be one of the most magical days of your life often turns into an endless string of decisions, emergencies, and exhaustion. Your wedding florals don't have to add to that. By streamlining our proposal process, we'll have a custom quote to you as quickly as possible. Often, we custom grow your flowers specifically for your wedding. When we have enough time to plan, purchase, and plant, we custom grow the flowers for your bouquets and other arrangements. From seed to bouquet, you will know first-hand the care, labor, and love that goes into each of our arrangements. We take custom design to a whole other level. 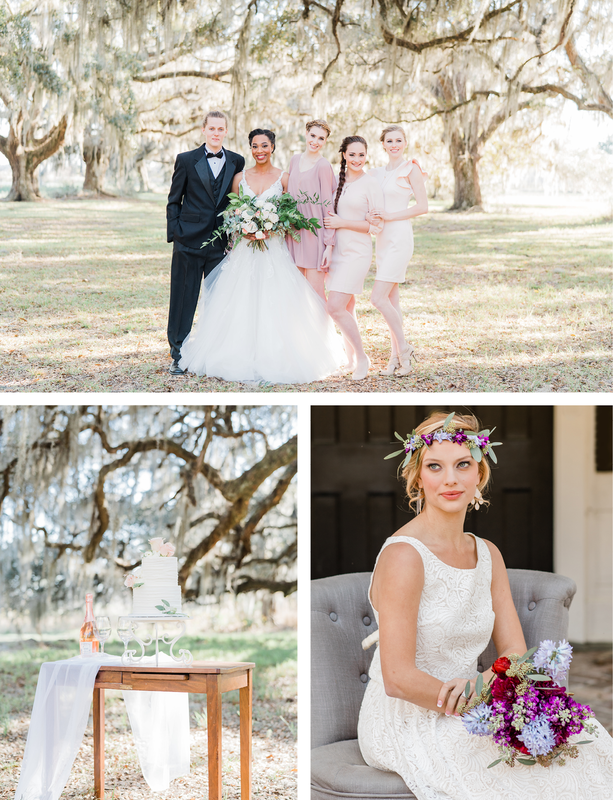 My family is so pleased that you are considering us for your wedding design as you take this step into the future, and we value your decision to support Lowcountry farms and American grown flowers. Fill out this form to inquire about working with Feast & Flora for your wedding. Is there anything you want us to know before we get started?